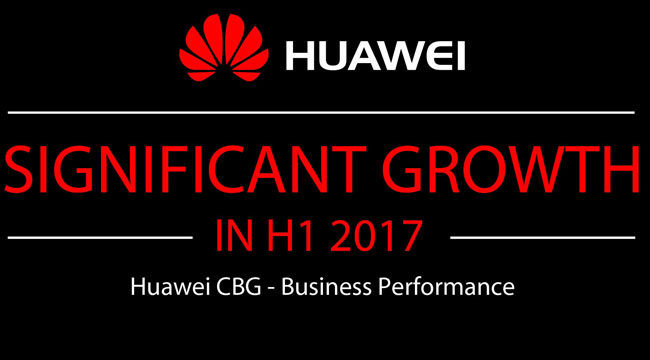 Huawei released its audited financial results for 2017, reporting solid business growth. The company's total annual revenue was CNY603.6 billion (US$92.5 billion based on year-end exchange rates), an increase of 15.7% over 2016. Net profits were CNY47.5 billion (US$7.3 billion), an increase of 28.1% year-on-year. l Huawei and Honor smartphones together secured more than 10% of the global market share. We are now firmly positioned among the top three phone makers in the world. l Our flagship products remained bestsellers after their launch, which raised the market share of our high-end models priced over US$500 to over 10%. l In mobile services, the Huawei AppGallery is committed to building a secure and reliable app platform for users, providing a four-layer security check mechanism that helps users defend against app security risks. In 2017, there were 61 billion downloads from the Huawei AppGallery, which also offered more than 600 paid apps across 18 categories. In 2017, progress in Huawei’s proprietary apps and software services. 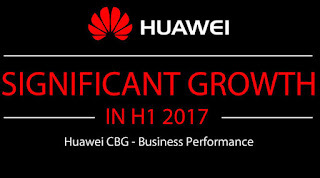 Huawei’s Consumer BG believes that competitiveness begins and ends with consumers. With this in mind, in 2018 we will continue to innovate in core technologies – including AI, AR, and VR – to guide evolution from smart devices to intelligent devices. With end-to-end capabilities that optimize synergy between chips, devices, and the cloud, our ultimate goal is to provide an experience that our consumers have never seen before, and lead the transformation of the smart device industry.